Have you ever wondered what your life may be like without your drug of choice? Yes I know the thought of quitting is scary and perhaps you have tried and didn’t make it past the withdrawals and cravings. While I have written a lot of articles about how hard and painful addiction is I haven’t shared very much about how it feels to be free from addiction. So many people ask me how hard it is to live in recovery and it seems a lot of people think that it is really hard and a daily struggle. There was a time when it was hard of course, where every minute was a struggle but now, nearly 9 years clean from drugs and alcohol and just over 18 months clean from nicotine the truth is that it is not hard anymore. It is a way of life and if I do suddenly get a mental craving for a drug, alcohol or cigarettes it is so fleeting that it has little to no impact on my life. Imagine not having to be dishonest about things, not having to lie and hide? Being stuck in addiction means having to keep secrets all the time, from your family, your friends, your work colleagues and everyone else that you come into contact with. Addiction causes so much shame and when you are in active addiction you try and hide it from everyone around you. Until you get clean you have no idea the weight that these secrets have on you. The feeling of lightness that comes over you when you get clean from drugs but also clean from your shame and secrets. Every addiction costs money in some way. From the more direct costs of spending money on drugs, alcohol, gambling and prostitutes to the indirect costs of things like moving home after being evicted for not paying your rent or even moving to be closer to your drug dealer. The fact is that if you are an addict you will be wasting a lot of money directly and indirectly. Being in recovery from addiction means that you will get to keep all your money and that is an amazing feeling. If you are an addict, chances are incredibly high that your job is being affected. Your employer may do regular drug tests and this is not pleasant if you don’t pass the test plus your work performance is probably suffering. Losing your job is not only demoralizing, but it will impact you financially. In addition to that in the long term it will affect your working history which future employers will be interested in. If you are unable to hold down a job this will make you unemployable to a lot of business owners. Getting clean means you are not only able to pass work drug tests, but you will be able to perform better in your job and hold down a job. Trust me, this feels good. It makes you feel worthwhile and valuable. If you are in active addiction every relationship you are in will take strain, from the relationship with your family, to your intimate relationships and even your relationship with your colleagues and employer. Getting clean means that you have a chance to repair all these damaged relationships and you can start to have close, meaningful relationships again. I don’t know about you, but one of the worst things about addiction is waking up in the morning and not being able to fill in the blanks. There were times that a whole day was missing from my memory, no matter how hard I tried I could not recall anything that happened. Imagine waking up every morning knowing you were in full control of yourself and being able to remember every little thing that you did the day before? Active addiction is one long apology and it never ends. Continuously having to apologize for your actions it not pleasant. In addition to that nobody takes you seriously because you keep doing the same things to the same people. An apology just doesn’t mean anything anymore. When you stop using and you stop causing damage with everything you do you don’t need to apologize constantly. Let’s face it, addiction causes health problems such as cocaine damage to your nose. Sometimes the damage to your health is permanent and won’t improve but very often your body can repair itself when you stop using your drug of choice. There are many health benefits to giving up alcohol and other drugs. When you are using drugs your body takes a knock physically. Drugs cause damage to your body and your immune system will also suffer, making you prone to getting ill more often too. In addition to physical damage from using drugs the stress and worry you are under will also add to your health problems. When you get clean and allow your body to heal you will be amazed at how fast your health improves. Being in active addiction very often comes with a myriad of legal problems. You could have legal action taken against you for non-payment of accounts or perhaps you have been arrested for drunken driving or possession of drugs? When you stop using you can start to live your life without fear of legal problems. This is by no means the end of the list of benefits of recovery from addiction. 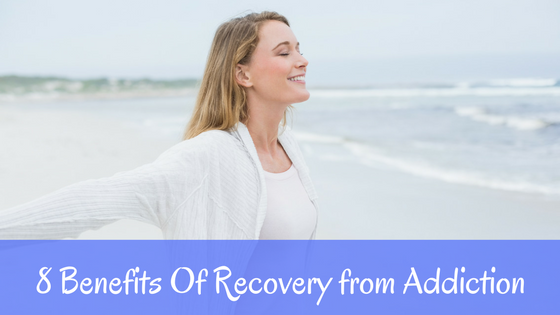 If you get clean you will experience these benefits of recovery and many more. In fact I have found that now, nearly 9 years down the line that the benefits of recovery keep on coming. Are you tired of the spiral of emotional and physical pain? Arguing, lost careers,broken dreams and a debt that seems to never get paid off? There is a beautiful facility with a Professional medical staff to help you every step of the way. If you qualify it can be extremely affordable. They am legally bound to give very few details. but are willing to work with sincere people. This entry was posted in Recovery and tagged benefits of recovery from addiction, gifts of recovery, recovery from addiction. ← Does Tramadol Get You High? I recently quit smoking and by recently I mean a year and three months ago. It was one of the best decisions I’ve ever made. Not only is it saving my health and I feel a lot better it is saving me tons of money. And just being a happier overall more attractive person to be around and not smelling like smoke all the time. It’s nice to know that there’s other support out online for people struggling with addiction. Thanks for making this site. Quitting smoking was so terribly hard for me, but the benefits are amazing and I am so grateful I managed to quit. Congrats on stopping smoking, I know how hard it is. Hi Lynne, I’ve been enthralled by all of your content today and I feel compelled to tell you that I respect you so much, Your honesty and willingness to be open about some dark times and your continued recovery in your life is very rare. I have had some contact personally and professionally with people with addiction and it is very rare to be so honest and open. I’m so glad you are through this site, you will help and benefit so many people who will relate with your life experiences and situation. I said it earlier but I have so much respect for you. 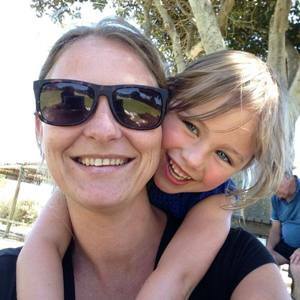 Thanks Emma, I find it healing to be able to write and talk about addiction and the bonus is that it helps other people so it is very much a win win. Living life free of addiction certainly has these and many more benefits. Many of your points can also be applied to other types of addictions such as video game addiction, social media addiction, etc. I think one of, if not the greatest, blessing of being free of addictions is point #4 in your article. Good relationships take a significant amount of time and sacrifice. The ability to give time and sacrifice for a relationship is severely compromised by any addiction. Although relationships will still have conflicts, and there is still the potential for broken relationships even after full recovery, it is so much easier to cultivate the relationship and solve conflicts because they will be number one in your life instead of the object of your addiction. PS. Way to go for being 9 years clean, that is such a significant achievement. You are an inspiration for many out there who are struggling. Mariah yes for sure – there are many types of addiction, of course drugs and alcohol are the most well known but you can become addicted to anything from food to exercise, work and social media! I think that this is something a lot of people don’t understand. And yes addiction wrecks relationships and it is only through recovery and working on oneself that the healing can begin. PS Thanks for the wishes, it is 10 years now!